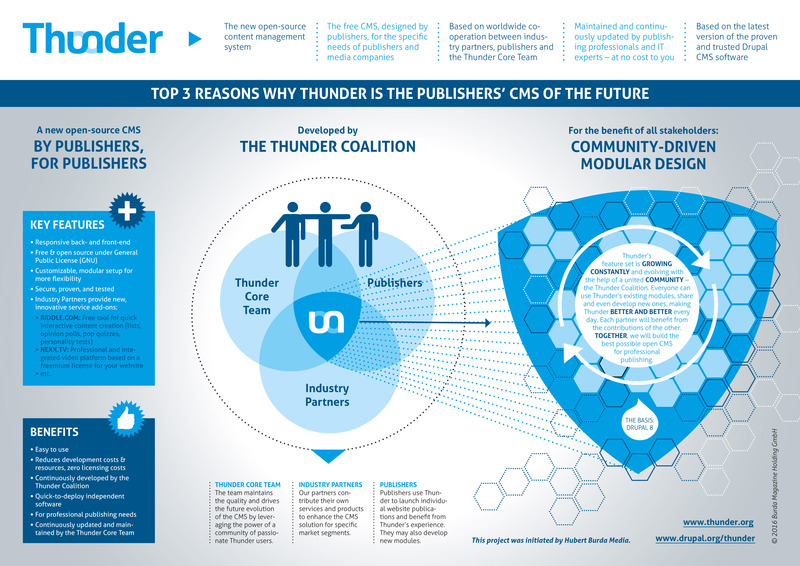 The Thunder Coalition aims at joining forces amongst publishers by sharing code and innovation power. Thus, Thunder’s feature set is going to grow and evolve to meet the various needs of many brands. Currently, we are working on a liveblogging module for Thunder, and we want your opinion. The CTI Badge is here: It is a seal of quality for excellent Thunder services. Certified Thunder Integrators may use the CTI Badge for marketing their services. Apply now to become a CTI and help implement Thunder projects around the globe! Looking for more information or a contact person?